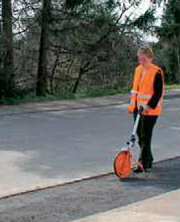 The Nedo Super Measuring Wheel meets the highest standards in terms of precision, quality and reliability. Thanks to tight manufacturing tolerances and a high quality counter, its accuracy is +/- 0.002%, which corresponds to a maximum error of +/- 2cm over a distance of 1000m. A robust design and quality product - made in Germany & Switzerland. 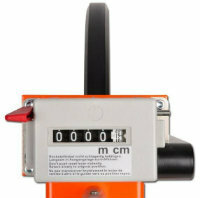 The counter, which has a display resolution in cm, is mounted securely above the wheel and is driven by a toothed belt. Zero setting is done with a hand lever. 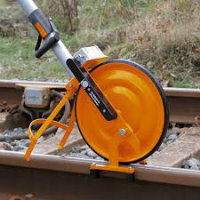 The brake is integrated into the sturdy rest support. The ergonomic pistol grip and the rugged aluminium guide bar make handling easy at all times. A clever mechanism permits the guide bar to be folded away for transport. 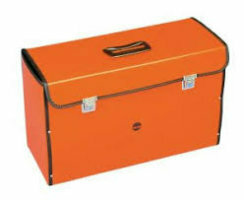 Buy Measuring Wheel and Carry Case together and save.